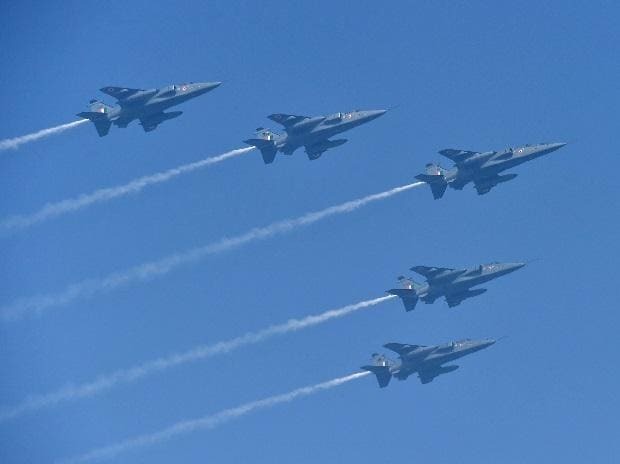 The Indian Air Force Thursday said it was in a high state of preparedness to pro-actively engage any perceived threat from Pakistan, in clear indication that underlying tension between the two countries remained. Citing a document of Pakistan's civil aviation authority, the IAF said the neighbouring country has opened its airspace with Oman, Iran, Afghanistan and China only and the 11 entry and exit points located along Indo-Pak airspace were still closed. "The Indian Air Force is in a high state of preparedness, to pro-actively engage any perceived threat in the present security scenario," the IAF said in a statement. It said a strict vigil in the skies to detect and thwart any act of aggression from Pakistan Air Force is being maintained. Officials said all the frontline IAF bases along India's western border have been kept on maximum alert. Tensions between the two countries escalated after Indian fighters bombed terror group Jaish-e-Mohammed's biggest training camp near Balakot deep inside Pakistan on February 26.